In 1598 in Dansk, in a small moment in Europe's great history, a liqueur factory was founded by Ambrosien Vermöllen that later achieved world fame under the name "Der Lachs" (The Salmon). The finest liqueurs, produced in a town house with pointed gables with a symbol above the entrance door instead of a house number – a salmon hewed in stone. Since then, many royals, poets and thinkers have drunk the liqueurs, including Catherine the Great of Russia. For special moments, she particularly loved the Original Danziger Goldwasser, a liqueur with fine 22-carat gold leaves. 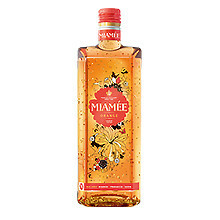 With their delicate gold shimmer, these golden leaves now also enrich MIAMÉE, a light liqueur available in two fruity tastes, MIAMÉE ORANGE and MIAMÉE ROUGE. 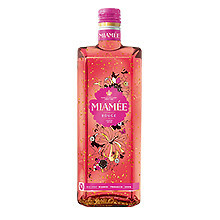 Whether for a summer party on the balcony, at a girls' night with friends or to kick off a special event, MIAMÉE - mixed with sparkling wine, prosecco or white wine or as a light variant with various fizzy fruit-flavoured juices - is the perfect accompaniment for many eating and drinking occasions – traditional or casual – and brings something special to each moment of joie de vivre.